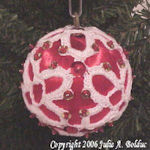 Large Netted Ball Ornament -- $1.99 A Crochet pattern from Julie A Bolduc. 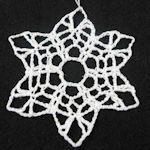 This ball ornament is made by worked by fastenening off at the end of almost every round then rejoining the thread for the next round. 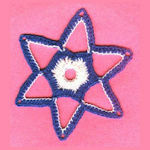 The result is just beautiful and well worth the extra effort of weaving in the extra ends.